The Russel River is located 60 kilometers to the south of Cairns in Northern Queensland, Australia. From Cairns, rafting companies shuttle guests down the Bruce Highway to the township of Mirawinni. The headwaters of the Russel River lie in the shadow of Mount Bartle Frere, Queensland’s highest peak, just outside of Mirawinni. The Russel River is rated Class IV. It is what some people refer to as a “descent” river, as opposed to a “pool drop” river, meaning that its rapids are fairly continuous, with non-stop whitewater ranging from Class I to Class IV. No experience is necessary, but it is definitely a more adventurous run for the beginner rafter! An experience on the Russel River is much more than just rafting. The day begins with a short 45-minute hike down to the river on a rainforest track that used to be an Aboriginal fishing trail. Once down on the riverbank, rafters get a chance to swim in crystal clear waters while guides blow up boats and rig all the necessary gear. After loading into boats, three hours of continuous rafting takes visitors through exciting rapids like “Pinball”, “The Three Stooges”, and “Rollercoaster”. Midway through the day, the boats pull over and boaters walk single-file through a small rock corridor to emerge in the middle of a thundering waterfall. Later in the day, the river narrows and flows through a small, steep-walled, basaltic gorge. Guides will sometimes stop at certain points to take advantage of great spots for rock jumping and for swimming in quieter currents. 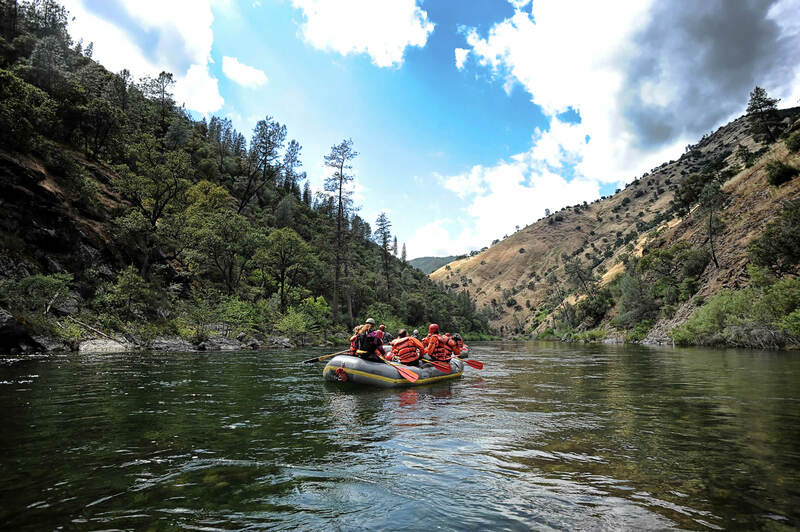 Whitewater rafting trips are available on Australia’s Russel River year round! The only exception is December 25th, Christmas Day.